In 2016, after fostering for a few years, the Holly family started collecting nice used clothing and storing them in their home's garage to redistribute to children entering foster care who had little to no personal belongings. Their organization quickly took shape and The Isaiah Closet grew to serve hundreds of children with the support of their community. With growth, comes change, and in 2018 after opening The Isaiah Closet Resource Center and two additional Care Closets in north Texas, Casey Holly met with the founder of Foster Village, Chrystal Smith, and the decision was made to move forward to affiliate The Isaiah Closet with Foster Village, creating Foster Village North Texas. We are thrilled and can not wait to see the impact we can make with this alliance! It takes a village! Casey, Josh and their oldest daughter became a foster family in September 2013. During their time as foster parents they welcomed eight children into their home, and adopted five of them. Their hearts were broken to the hurting children and families involved in the child welfare system and knew they could do more. They've been working since 2016 to create a village of resources to foster families, kinship families, and families involved with Texas DFPS by connecting members of their community with practical ways they can support children in crisis. The Hollys are no longer a licensed foster home, but they continue to love on children in foster care by providing respite care to the local foster families in their community. Jeff and Misti have been involved with the foster care system in Texas since 2015 when they received their first placement. Since then, in addition to raising their biological son, they've fostered several children and have been blessed to adopt their three daughters through the foster care system. 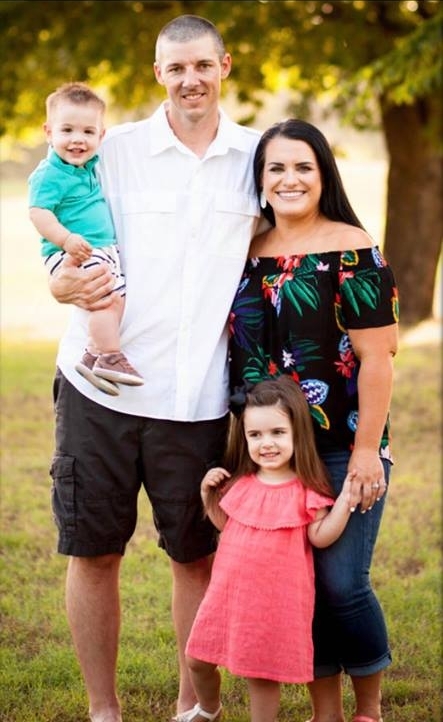 Currently Misti works as a case manager for Harbor of Hope Inc., where she serves as an advocate for foster families in North Texas while Jeff works for an international missions organization based in Plano, TX. They continue to advocate for foster and adoption by working to educate churches and recruit new families whenever they can. They are proud to serve on the board of The Isaiah Closet and are excited to see how the Lord uses this ministry in the years to come. Courtney lives with her husband & two children in Ector, TX. She works as a speech language pathologist in a low income school district where she is able to work closely with underprivileged children. She has a deep passion for helping all children; whether in the school or by volunteering with non-profits and she believes being a voice and supporting disadvantaged children is paramount. Currently, she is raising her young biological children, but plans to foster in the future. Working in the schools gives her a chance to make an impact on children dealing with trauma; both in and out of foster care. Ashley and Josh felt called to be a foster family as so many children need basic care, love, consistency and safety. Currently they have six children in their home (one biological daughter, three adopted daughters, one foster son and one foster daughter). Through their journey they've been able to teach their children about family, life, choices and individuality. After they finalize the adoption of their son and see their foster daughter's case through, they plan to close their home. However, they have chosen to stay active in the foster community through education, conversations, donations of time and being a resource to new foster families. 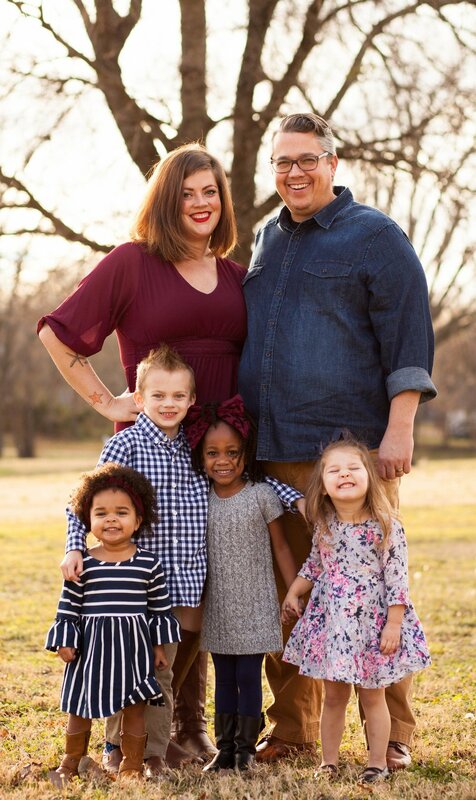 Maghan and her husband have two biological kids and are currently fostering their fifth placement since they became a licensed foster family in December 2017. Maghan believes everyone is called to serve the needy, the helpless, and the underprivileged in some form or fashion. Being a former teacher, she's always had a heart for kids, and now she is thankful for the opportunity to welcome them into her home and her family for as long as God sees fit. Maghan is excited to assist those in the community who aren’t able to actually open their doors for a kiddo but who also want to make an impact in this ministry.